Each session includes a pre-shoot consultation where I get to know you better and discuss the details of your portraits. Who's your alter ego? Vampires, boho hippies, famous singers and actresses...I love shooting these sessions so I can pull you out of your comfort zone and get creative! We can shoot on location or in the studio. These themed shoots can be based off of anything- a career you want to pursue, a scene from your all-time favorite movie, something to show off a talent you have, etc. We even give you a new name for you alter ego. Check out the Gallery to see what I mean! Includes pre-shoot consultation to determine shoot theme, location, set props, and one-of-a-kind Anna Triant Couture gown to wear. Professional hair and age-appropriate makeup application is also included. Includes pre-shoot consultation, professional hair, makeup, and styling. Three digital images, completely retouched, are delivered with each shoot for use in a digital portfolio. These portfolio sessions come with a twist: you don't know what you'll look like or be shooting until the day of the shoot! When you book a Grab Bag session, you have no say at all in the theme of the photo shoot- it's a total surprise! Includes professional makeup application and three fully-retouched watermarked digital images. 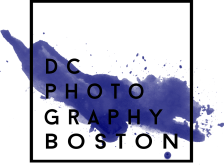 Please contact me to set up a meeting for us to discuss your wedding photography! My most popular package starts at $6,000, but I have packages available for most budgets.